Fat graft popularity has increased over the last few decades, finding a widespread pattern of application in oncological reconstruction, wound therapy and cosmetic surgery. Recently, the fat graft has been used for breast volume replacement after skin modelling by conventional tissue expanders positioned during mastectomy or after forced removal of prostheses due to complications. Our purpose was to assess fat grafting feasibility and safety, indicating its low rate of complications. We retrospectively analysed 7 patients treated with autologous fat grafts after oncological surgery for breast cancer. Patients not eligible for implant reconstruction and patients who refused implants were included. We analysed age, BMI (Body Mass Index), expansion rate and grafting data (session numbers, injected volume in each session and complication rates). Clinical examinations were performed every 6 months for 1 year after complete reconstruction to evaluate adipose tissue reabsorption and, eventually, further required fat grafting sessions. The aesthetic outcomes were excellent in all of the patients in our series. According to patient surveys, the satisfaction rate was very high. The filled expanders’ final volumes varied from 270 to 630 mL (average: 420 mL). 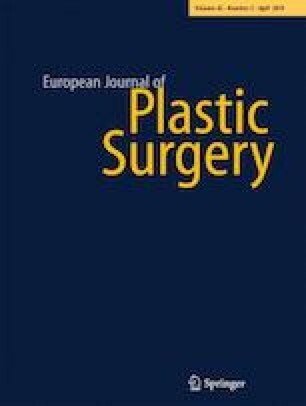 The number of fat grafting sessions ranged between 2 and 3 (average 2.43), and the injected grafting volume during each session varied from 35 to 300 ml (average 175.43 ml). Expander deflation during each surgery session varied from 50 to 270 ml (average 100.63). No complications were reported. Our technique is useful and innovative and leads to good aesthetic results with shorter hospital recovery and low complications rates, compared to major reconstructive surgery. Moreover, the oncological safety appears to be uncompromised. Therapeutic, IV. Giacomo Datta, Antongiulio Mangia, Nino Nicolò, Maria Piera Mano, Stefano Bruschi, Maria Grazia Baù, Alessandra Surace, declare that they have no conflicts of interest. All of the procedures performed in studies involving human participants were in accordance with the ethical standards of the institutional and/or national research committee and with the 1964 Helsinki Declaration and its later amendments or comparable ethical standards. Informed consent was obtained from all of the individual participants included in the study. None of the authors have anything to disclose. No funding was received for this article.